With outstretched arms, they sit across from each other... supporting & sharing one shiny bowl. 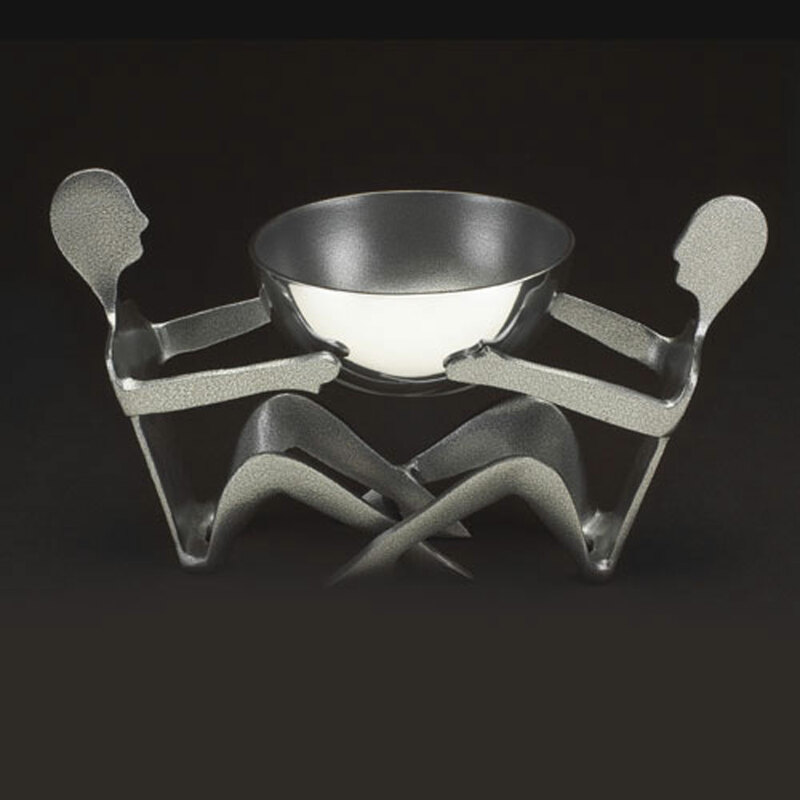 This product is an artful serving piece as well as a conversation piece. Fill it with something special you'd like to share! Bowl easily lifts out for cleaning. Also available: Two Men & A Caddy. Handcrafted of food-safe polished aluminum. Size: 13" x 7" x 6"